A patriot, Shri Bilal Chin, has an urgent message for us, to unite and liberate the nation from cruel tyranny. 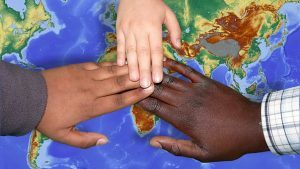 Shri Bilal Chin: “Whatever our origins might have been and whichever part of the world our ancestors might have come from, whatever belief we hold on to, and whatever our individual standing in this life might be, we are all of one race; the human race – and we are all Malaysians. Today, this sacred Motherland that we call home; the nation we love, revere, and owe our undying allegiance to, in God’s truth is no longer ours. Our society is seriously contaminated, and worsening with each day. Our fundamental governing charter has been ignored, and our laws have been circumvented. Our systems have been manipulated, and our many enforcement agencies have been compromised. 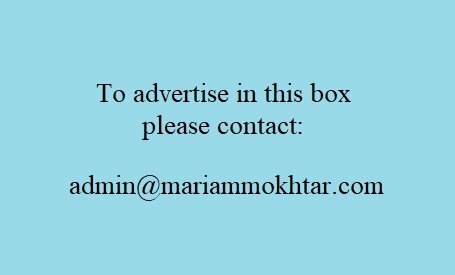 Our prized tracts of strategic assets have been freely sold off, and our national debts are spiraling. Our citizenry are being blatantly cowed and demeaningly treated as if we are no more than soulless unthinking zombies who are forced to accept all wrongdoings by the present leadership no matter how disastrously damaging or how much they hurt our people. Fellow Malaysians! Our nation has been hijacked, and our country is being ravaged and openly pillaged beyond human decency by traitors we had unwittingly entrusted into office, all in the name of pure greed. And the chief architect of this crime is none other than the Prime Minister himself, Najib Razak, aided by his ever willing gang of well-fed scheming co-conspirators now contaminating almost every function of our government. Much as we, and seemingly the whole world, have now discovered, the conniving and the wrongdoings of this once much hoped for leader turned embezzler and thief, and a traitor to this nation, Najib Razak, actually started many years ago right under our nose. He was then the rising star Defence Minister. It was a deliberate, well-planned and fully orchestrated felony to fleece our country from the start; a heinous and evil design against his own people that only came to light when the sheer magnitude of his growing cons started to raise questions, at last exposing this heinous traitor of a puppet-master. This country and its citizens have taken enough abuse from this slick hypocrite we once revered as the nation’s hope. We have been blatantly lied to, cheated, insulted, and outright ridiculed and shamed on the world stage as a nation. And his only real response to our growing hardship, restlessness, and anger was to strong-arm us into line, whether we like it or not; but enough is surely enough. Fellow Malaysians! We have no choice but to take back our country – and we shall. Our thirty one millions of worldly and educated citizenry are not as stupid or as spineless as Najib and his gang seem to think we are. Let us end the unholy reign of this band of greedy and unprincipled traitors once and for all. 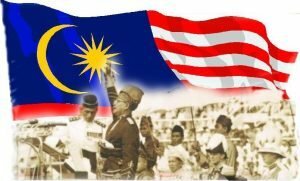 Let us make sure we celebrate this coming Merdeka anniversary as a truly free and proud nation. This coming GE will be our crowning glory. Every single unbiased survey has pointed to a total defeat for this globally infamous traitor and his team. And despite their fake news of assured victory and equally fake confidence and bravado, they all know only too well, that there is not a snowball chance in hell they can win. Why else would they be madly making preparations to cheat all out; something that even the whole world seem to be aware of, and headlining it? And, even beyond that, this chief architect of our country’s ruin had also belligerently declared “Nothing is sacred”. Are these not the likely ravings of a totally desperate and no longer sane mind? Then again, this might just be his huge ego at work. Perhaps he either just could not help showing off how powerful he is, and that he has the whole country in his palm, free to do whatever he wishes and even threatening the electorate outright; or does he actually think Malaysians are too stupid, to know what he means with those revealing words? It is likely, that he doesn’t even care, what anyone thinks. Following his way of thinking, blinded by greed, arrogance, desperation, and stupidity; having gotten away with many record-breaking embezzlement and other unthought-of wrongdoings, possibly including the allegations of a few ghastly murders along the way, what can he possibly not get away with? If his dumb and dumber countrymen could put up with everything he had done so far, they would put up with anything and everything he should decide to do – so goes his super arrogant logic. For this GE, he is just robbing them of only one more thing – even if it is their sacred right to have the true and democratic majority will of the people at the ballot acknowledged and respected. Fellow Malaysians! This GE will be our last chance to take back our country and prove this supreme traitor and his no less traitorous disciples wrong. If we miss this window, we may never again be able to salvage our homeland; and the memory of us in the minds of our future generations will be forever littered only with regret, shame, sadness, and condemnations. Despite the already obvious unlikelihood, let’s hope and pray for an untainted GE, fully respecting its democratic process in seeking the majority will of the people, through the ballot box, as rightly the citizens of any respected democracy deserve. 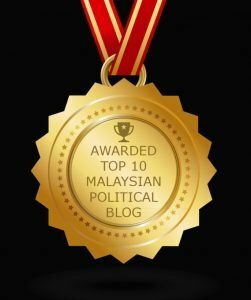 If Najib and his band of traitors should succeed in stealing this election along the line he had openly threatened and declared, something they are already rampantly doing, even as we speak, blatantly ramming every trick down our throats at every turn regardless of any legitimacy; we should take back our country by the same rule Najib had himself advocated and urging his followers that, “Nothing is sacred”. May the Almighty bless our nation, and set us free from this cruel and destructive tyranny of ungodly greed. 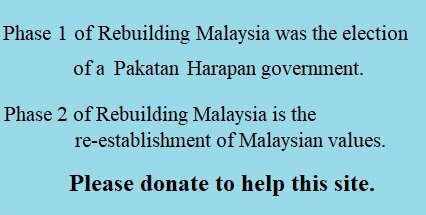 Fellow Malaysians! Let us come out and flood the streets of our nation like never before, on Wednesday 9 May, to celebrate our freedom, once again, or whatever shall be. By a loyal Malaysian, Shri Bilal Chin. the party that has been given the mandate by Malaysian to legislate Malaysia over the next five. 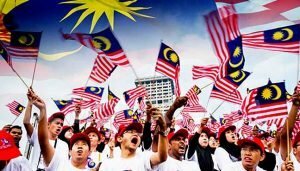 The message is loud and clear – that the people of Malaysia, will no longer tolerate nominated members of the legislature to abuse their position and power entrusted to them and that they will be beholden by these trust to carry out their responsibilities to govern the country in their best abilities and to be true to the soverinity and people of this nation.